The EU has a wide-ranging relationship with the rest of the world. This relationship goes from trade and foreign policy to development assistance. 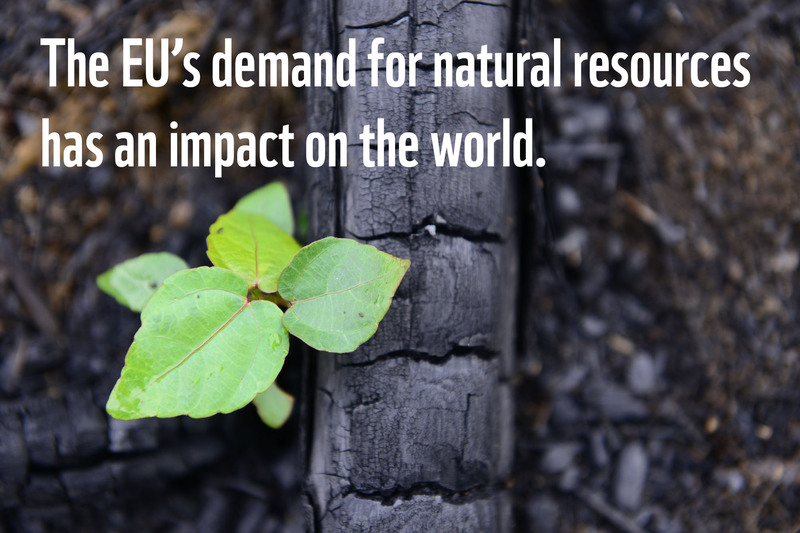 The EU also has a major impact on the world through its demand for natural resources. These relationships can take their toll on the environment, but they can also be an opportunity to help improve it. By supporting fresh water, soil quality, clean air, fisheries and forests in partner countries, the EU contributes to sustainable development and ending poverty around the world. The EU can also help people benefit from managing nature sustainably. As the world’s largest donor of aid, the EU can help partner countries to look after their environment and support their sustainable development. WWF works to ensure development policy is fair and helps protect the environment. Development policy around the world should include the sustainable management of natural resources, climate change and social equity. WWF is working to help this happen. WWF monitors and holds the EU accountable to its international commitments towards the environment and climate change, such as the Convention on Biological Diversity, the Paris Agreement on climate change and the UN 2030 Agenda for Sustainable Development. We aim to ensure that civil society organisations can get involved in EU development cooperation. 2015 has seen a fundamental shift in the global approach to development, through the adoption of the 2030 Agenda for Sustainable Development, the Addis Ababa Action Agenda on Financing for Development and the Paris agreement on climate change. Now challenges remain in turning these agreements into reality. In 2017, the EU adopted a revised European Consensus on Development which responds to these new international agreements and sets out the main priorities for EU development cooperation for the next decade. Throughout the world, WWF is working with civil society organisations and local communities on programmes to promote good natural resource governance, access to energy or other resources, sustainable production and consumption and adaptation to climate impacts. This is an embedded &amp;amp;amp;amp;lt;a target='_blank' data-cke-saved-href='https://office.com' href='https://office.com'&amp;amp;amp;amp;gt;Microsoft Office&amp;amp;amp;amp;lt;/a&amp;amp;amp;amp;gt; presentation, powered by &amp;amp;amp;amp;lt;a target='_blank' data-cke-saved-href='https://office.com/webapps' href='https://office.com/webapps'&amp;amp;amp;amp;gt;Office Online&amp;amp;amp;amp;lt;/a&amp;amp;amp;amp;gt;.